Consul General of the Chaplains Dept. The Church played an ambivalent role in Fascist politics… Some of the hierarchy were only too happy to join any movement that would combat the Communist and Socialist opposition. 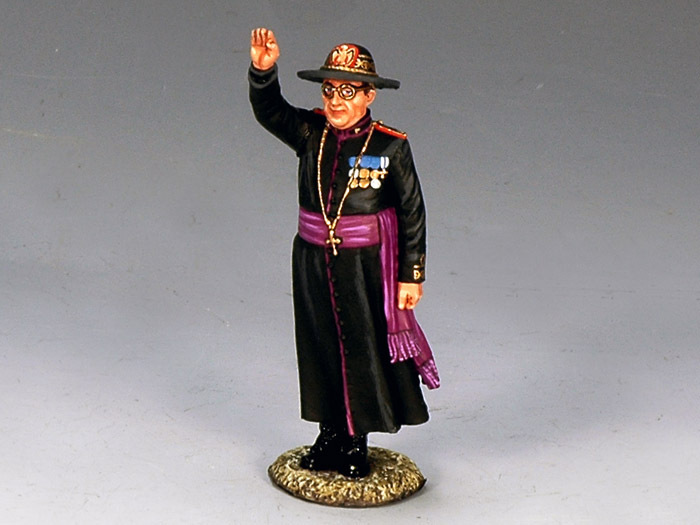 Our figure portrays a senior churchman giving the Fascist salute.